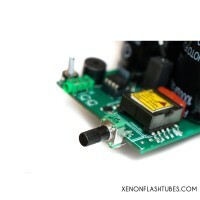 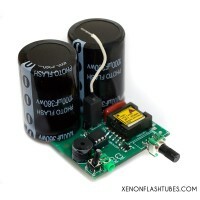 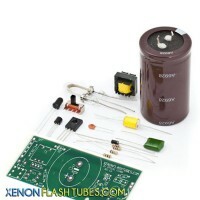 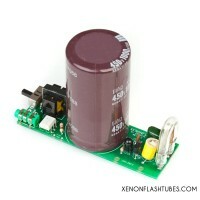 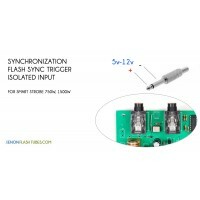 XenonFlashTubes is a leading developer and supplier of Xenon Flash Driver boards and power supply modules for running strobe systems. 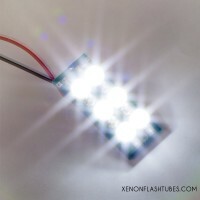 Strobe modules are defined by the Lamp's usage pattern: usually either High Power Single-Pulse, or - Low power High Flashrate. 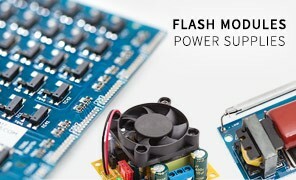 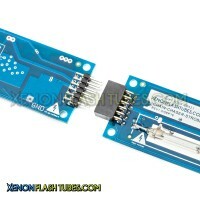 Flash driver boards basically consist of: a Capacitor-charging power supply module, a trigger circuit that will fire the lamp, an Energy-storage capacitor. 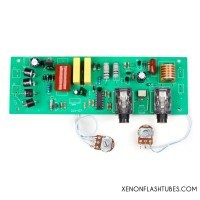 Depending on the complexity of application, a Pulse-forming circuit may be used to control the output curve, various controls and indicators can provide integration in different system environments. 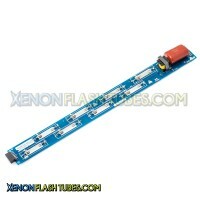 Universal high-power Capacitor-Charging module board, featuring a wide range of input and output voltages. 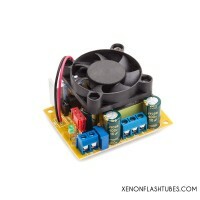 Tightly built, yet suitable for medium-heavy usage. 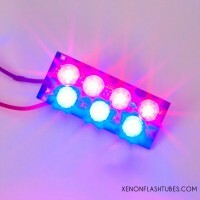 A medium power lo-energy, high repetition Xenon strobe, suitable for Warning lights and stage effects. 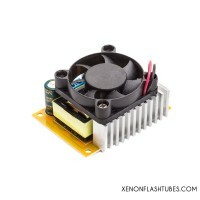 Ultra-compact, high repetition low-energy Xenon strobe, suitable for Warning lights and stage effects.